Bio Notes: Robert Stodart Lorimer was born in Edinburgh on 4 November 1864, third child and younger son of James Lorimer, Regius Professor of Public Law at Edinburgh University, and Hannah, daughter of James Riddell Stodart, WS. He was educated at Edinburgh Academy from 1877 to 1882 and at Edinburgh University from 1882 to 1885 but left without graduating, having decided to become an architect: it is said that he had acquired an enthusiasm for architecture and the company of craftsmen when his father leased and repaired the castle of Kellie in 1878. He was articled to Anderson Wardrop & Browne in 1885 but Browne withdrew from the practice soon after he arrived. Lorimer's relationship with Rowand Anderson was somewhat difficult and was to remain so but he had a particularly happy relationship with Hew M Wardrop whose premature death in 1887 was a severe personal loss to him. Having taken the technical classes at Heriot-Watt College he passed the qualifying exam in 1888 after little more than three years, something of a record. In 1889 Lorimer toured England for several months, his final destination being London where he made the acquaintance of John James Stevenson whose sisters lived in Edinburgh, and, rather later, Richard Norman Shaw. He found a place in the office of George Frederick Bodley, who was then working in partnership with Thomas Garner; Bodley encouraged the love of fine craftsmanship which was characteristic of Lorimer's practice. 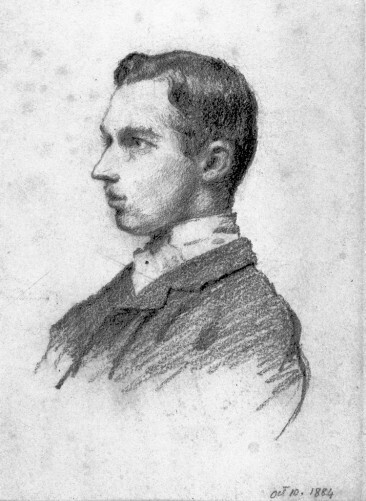 There he met Walter Tapper who was to be a lifelong friend, but the circle of friends with whom he travelled and sketched was predominantly Scottish and included Roger Kitsell, with whom he had been at university and at Anderson's, Robert Smith Dods from Hay & Henderson's office and John Begg from Hippolyte Blanc's. He also made the acquaintance of James Marjoribanks MacLaren and appears to have worked for him evenings and weekends as he is included with Bodley in Lorimer's ARIBA nomination paper. He was admitted on 16 June 1890, his proposers being Stevenson, Mervyn Macartney and John McKean Brydon, his first independent commission being a handsome Queen Anne house in Arthur Road, Wimbledon, for an uncle, George Wyld, MD. The previous year, 1889, Lorimer had joined the Architectural Association. After eighteen months with Bodley, Lorimer left to join two more Scottish friends, William Dunn and Robert Watson, who had succeeded to MacLaren's practice following his early death on October 1890. He left them in 1892 to tour Europe and opened an office at 49 Queen Street Edinburgh in 1893, with John Fraser Matthew as his first apprentice from May of that year. The catalyst was the commission to restore Earslhall for a family friend, R W R Mackenzie, followed by a series of houses in Colinton for Miss Guthrie Wright and the first house he built completely anew, The Grange at North Berwick for Lord [John] Trayner whose wife, Frances Elizabeth Maxwell Wyld, was a Lorimer relative. These were in a simple harled style derived from MacLaren and Watson's synthesis of English and Scottish vernacular forms in their buildings at Glenlyon for Sir Donald Currie and quickly resulted in commissions for more. They paralleled the work of Lethaby, Ashbee and Voysey with whom he had become more closely acquainted through election to the Art Workers' Guild in 1897. Lorimer's practice was to remain predominantly domestic, partly from the social and professional circles in which he moved, but partly because large commercial buildings had to be designed quickly and required considerable staff reserves. Lorimer's office was always frugally run with never more than four assistants or improvers and apprentices beyond Matthew, who was his office manager. Apprentices and assistants were very carefully selected and included James Smith Richardson, Reginald Fairlie, Percy Nobbs and Ramsay Traquair, the two last subsequently professors of architecture at McGill in Montreal. Surges in business which could not be accommodated within the existing staff were accommodated by engaging 'outlanders' notably Victor Horsburgh whose Edinburgh practice never flourished, John James Joass and John Begg whenever available: this arrangement was to prove particularly important during the South African War when Matthew was called up as a volunteer officer. Lorimer was unusual amongst Scottish architects in having a significant English practice without ever opening a London office. While several commissions came from members of the Tennant family who had settled in England, it is not altogether clear how the others were obtained: it appears to have been initially a combination of his Wyld relatives, influential social and political connections at home, skilful publicity in the building journals and exhibiting at the RSA, the RA and at the London Arts and Crafts exhibitions: from 1904 the publications of Walter Shaw Sparrow were an important factor, as was 'Country Life' from 1905, while Hermann Muthesius's 'Das Englische Haus' of 1904 gave him a continental reputation. The first of these English houses was Whinfold in Surrey, 1898, where his client E P Benson introduced him to Gertrude Jekyll who developed his ideas on gardens: from the very first these had been a particular interest from the family garden at Kellie and the restoration of Earlshall. Equally important to Lorimer's development was the Glasgow shipowner William Burrell whom he met through Mackenzie at Earlshall. Lorimer had acquired an interest in antique furniture from at least his earliest London years, and Burrell, his mother and sisters took him on a tour of Rotterdam, Amsterdam and The Hague which widened his interests to continental detail in both interior work and furniture. Lorimer did not marry Burrell's sister Mary as had perhaps been hoped, nor the daughter of the London architect Eustace Balfour who had frequently invited him to stay at Whittinghame. In 1902 he met for the first time one of the more distant Wyld relatives, Violet, one of the nine children of Edward Wyld of the Tile House, Denham, Bucks. She met the criteria of being musical and fitting happily into Lorimer's immediate circle of his brother John Henry Lorimer, the painter, and Francis William Deas. The house planned for her at Auchintrail, Fife in 1905 proved financially unrealisable at the time but 54 Melville Street Edinburgh was expensively remodelled for her in 1903 and an attic added to accommodate their family in 1912. The marriage reinforced Lorimers existing family connections with the Wylds and the Trayners, and in turn with Lord [Edward] Salvesen who had married the Trayners' daughter Frances Elizabeth, and for whom Lorimer had designed Risobank, Mandal, Norway, in the previous year (1901), Lord Salvesen thereafter describing Lorimer as his wife's cousin. Lorimer was elected FRIBA on 11 June 1906, proposed by John James Burnet, William Leiper and Edwin Landseer Lutyens. In 1909 his practice acquired a more public profile when his social connections and high profile at the Royal Scottish Academy, where he had been elected associate in 1903, resulted in him amicably replacing the elderly Thomas Ross as architect for the Thistle Chapel at St Giles Cathedral. At that date the only relevant experience he had beyond his time in Bodley's office was one Episcopal church; Ross did in fact advise on aspects of the design. 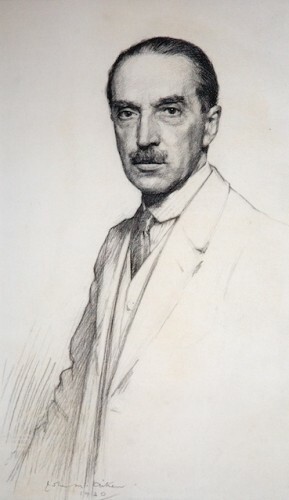 His work there brought him a knighthood in 1911; and although he had no experience of office building in 1913, the Office of Works invited him to prepare sketch designs for the Scottish Office buildings on Calton Hill in 1913 when Oldrieve's Scots Renaissance proposals were less than well received. That scheme was shelved because of the First World War and despite protest Lorimer was not re-commissioned when the scheme was revived in 1928. But on 21 September 1918 he was appointed one of the architects for the War Graves Commisssion, the countries allocated to him being Italy, Germany, Egypt and Macedonia. He designed 12 cemeteries in Italy including Barenthal and Cavaletto and Memorials at Giavera and Savona; 8 cemeteries in Macedonia and the Memorials at Lake Doiran and Monastir Road; 8 cemeteries in Egypt including Chatby, Hadra and Old Cairo; 5 Cemeteries in Germany, Cologne, Hamburg, Worms, Cassel and Berlin. At none of these was he asked to design on a monumental scale and the loss of that at Port Tewfik to Burnet, David Raeside having secured it on the latter's behalf, damaged their previously good relationship. Lorimer was also commissioned to design many of the war memorials at home, but that for Glenelg, where Lorimer had financed Louis Deuchars, brought him into a disastrous conflict with Pittendreigh MacGillivray when Lorimer was proposed as full academician in 1918. It delayed his election by three years and provoked the resignation of his elder brother, an action both were subsequently to regret. In that same year, 1919, the Duke of Atholl's committee for the Scottish National War Memorial which had Burnet as its architect-member and adviser, selected Lorimer from the six architects invited to submit examples of their work. His 1919 scheme and report were developed into a cloister and an octagonal shrine with Burnet's full approval in 1922, but he was thwarted by his disaffected former assistant Richardson. Richardson had been in partnership with Lorimer's even more disgruntled chief draughtsman John Ross McKay, dismissed in the Spring of 1920 for spending the weekend with a client, General Hunter-Weston, contrary to Lorimer's instructions. As principal inspector and assessor to the Ancient Monuments Board, Richardson put up a canvas montage to show the effect of the shrine on the castle skyline. Although Burnet robustly defended Lorimer's design, a campaign of public protest against 'the jelly mould' was led by the Earl of Rosebery and Lady Frances Balfour, daughter of the 8th Duke of Argyll and widow of the architect Eustace Balfour, who had, perhaps, old scores to settle. Lorimer had been critical of some of her husband's work even although the Balfours' connection had helped his career. A much less satisfactory scheme incorporating Robert William Billings's barrack block was forced upon him. Lorimer was elected ARA - ahead of Burnet - in 1920 and eventually elevated to full RSA in 1921. In June of that year he was appointed principal architect for the War Graves Commission in the UK and designed the naval memorials at Chatham, Plymouth and Portsmouth. The war years had been a thin time, but Lorimer was by now sufficiently well-off to buy the small estate at Gibliston, Fife in 1915 and he looked forward to the post-war years with a degree of optimism, a partnership involving the return of Dods from Australia being discussed in 1916. In the event Lorimer's domestic practice was to remain at a low ebb and not entirely from want of clients. In his earlier years an engaging personality and an infectious enthusiasm had got him by, although as early as 1904 unwillingness to accept unwelcome instructions from clients had lost him the commission at Fairnalie where he refused to demolish the old house. But in his later years he could be overbearing. Lack of tact in his work at Hatton Castle for Burrell in 1916 resulted in the loss of the commission, and, painfully, Burrell's friendship. In the post-war years Clive Pearson did not pursue Lorimer's over-ambitious proposals for Castle Fraser, essentially on conservation grounds, and at Fingask, the Gilroys found him 'too dictatorial' and engaged the more biddable J Donald Mills, as did the Valentines at Auchterhouse. Alfred G Lochhead, who replaced McKay as chief draughtsman, recalled that Lorimer could be 'terrible with clients: in the course of a disagreement on the design he said to one 'This house will be remembered because I designed it, not because you paid for it' - he actually said that'. Of the office itself, at 17 Great Stuart Street from 1913, Lochhead recalled that it had a friendly enough atmosphere if cold in winter as Lorimer begrudged coal like all other overheads. But there were sometimes problems: 'if a design wasn't working out he worried at it and worried at it because so much time had been spent on it - if I wasn't asked, I had to be careful about any suggestion even if I could see what to do… Burnet had a much healthier approach in such circumstances, he simply discarded it regardless of time spent and started afresh'. Matthew did his best to reassure clients and keep the peace in the office. His patience and tact were eventually rewarded with a partnership in 1927; he had been allowed to run a small independent practice of his own since 1910. Lorimer’s work for the War Graves Commission ended on 31 December 1927. The Scottish National War Memorial was completed in 1928. Lorimer was made KBE and the University made him an Honorary LLD. But he was exhausted by it and Matthew had been left to design King's Buildings for the University very much on his own. He took a holiday with the sculptor Pilkington Jackson in Sweden, the influence of that visit being seen in his designs for St Margaret's Church, Knightswood. But thereafter he spent more time at Gibliston and in the company of Deas and James Morton of Morton Sundour fabrics. He died following an operation for appendicitis on 13 September 1929. His ashes were buried at Newburn along with those of his parents. c. 1890 61 Lothian Road Edinburgh Scotland Alterations? 1897 Chalmers Free Church Bridge of Allan Stirlingshire Scotland Organ case? 1897 Wemyss Castle gate lodge East Wemyss Fife Scotland Scheme perhaps not executed - but executed later or in a different place? 1900 Holy Trinity Church Darlington County Durham England Furnishings for extension of chancel (may not be by Lorimer), panelling, bishop's chair, credence table, sedilia. Other funishings reused. 1900 Kellie Castle Pittenweem Fife Scotland Doocot and garden house. 1900 Royal Blind Asylum Workshop Edinburgh Scotland Alterations? c. 1900 Barguillean Farm Taynuilt Argyll Scotland Internal alterations? c. 1900 Mercat Cross Edinburgh Scotland Repairs? c. 1900 Polton East Mains Farm Bonnyrigg Midlothian Scotland New build? Alterations? 1901 Barton Hartshorn Buckingham (near) Buckinghamshire England Large additions. 1901 Huntly Colinton Edinburgh Scotland West wing and stable block added later. 1901 St John the Evangelist Episcopal Church Alloa Clackmannanshire Scotland Choir stalls. c. 1901 Glasgow International Exhibition of 1901 Kelvingrove Glasgow Scotland View of exhibition pavilion - entry by Lorimer? 1903 54 Melville Street Edinburgh Scotland Interior work. 1903 Baxter Incorporation Granary Edinburgh Scotland Design of reredos - paintings by William Hole, not Phoebe Traquair as sometimes stated. 1903 Hallyburton House Coupar Angus Angus Scotland New wing added, internal remodelling and enlargment, adjoining garden with wrought iron gates. Also possibly garages and game larder. 1906 St Peter's RC Church Morningside Edinburgh Scotland Church, hall and priest's house. 1908 Barton Hartshorn Buckingham (near) Buckinghamshire England Further additions and garden layout in collaboration with Gertrude Jekyll. Lower farmhouse and steading and summerhouse. c. 1909 St Leonard's Hall St Andrews Fife Scotland Alterations? 1910 Chichester House Skinburness Cumberland England Alterations? c. 1910 33 Heriot Row Edinburgh Scotland Internal alterations? Before 1911 Seacliffe House and cottage North Berwick East Lothian Scotland Alterations? c. 1912 St Mary's Church and churchyard Leith Edinburgh Scotland Memorial to Very Rev James Mitchell. Louis Reid Deuchars was the sculptor. 1914 Conheath House Dumfriesshire Scotland Alterations? 1914 South Bantaskine Falkirk Stirlingshire Scotland New build? Alterations? c. 1914 Foss House Dull Perthshire Scotland Design only - not executed? 1915 Dunrobin Castle Dunrobin Sutherland Scotland Restoration of roof after fire. Also additional internal reinstatement and remodelling. 1917 Newbyth, stables and offices Newbyth East Lothian Scotland Date of plans for alterations? New build? c. 1918 Innes House, Cross (at Lochhill) in memory of Captain Mark Tennant Morayshire Scotland Captain Mark Tenant died in 1916. 1919 Edinburgh Castle, Scottish National War Memorial Edinburgh Scotland First scheme. 1920 107-108 Princes Street Edinburgh Scotland Alterations. 1920 Scottish Dyes Ltd Grangemouth Stirlingshire Scotland Alterations? 1920 St Giles Cathedral, 5th Battalion Royal Scots First World War Memorial Edinburgh Scotland Unexecuted design? c. 1920 21 Royal Terrace Edinburgh Scotland Alterations? c. 1920 Commercial Bank Leven Fife Scotland Alterations? c. 1920 Royal High School, war memorial Edinburgh Scotland Design - not executed? 1922 Secondary School Forres Morayshire Scotland New school? 1922 St Mary's Episcopal Cathedral Edinburgh Scotland Interior alterations for the Chapel of the Resurrection and to rood. c. 1922 Building in Gilmour Street Paisley Renfrewshire Scotland Alterations? 1923 House for Moir Longniddry East Lothian Scotland Design? John Whyte was the builder. 1923 St John's Church Perth Perthshire Scotland Restoration to single church as memorial to men of Perthshire who had fallen in War. Re-furnishing. Three E bays of the choir screened off as John Knox Chapel with screen on W front and one bay of return of oak screen. 1924 Galashiels Memorial Burgh Building Galashiels Selkirkshire Scotland Rebuilding. 1924 St Michael's Church Linlithgow West Lothian Scotland Alterations? c. 1924 Fortnum & Mason Piccadilly London England Unsuccessful competition design? 1925 Double bungalow, Cairnmuir Road Corstorphine Edinburgh Scotland Mainly Matthew - in private practice? 1925 Falls of Clyde, Stonebyres Power Station Lanarkshire Scotland As one of the Amenity Committee advising Sir Edward MacColl, the other members being the Earl of Home, Sir John Stirling Maxwell. 1925 Pittenweem Episcopal Church Pittenweem Fife Scotland Lancet windows at W end - glass by Herbert Hendrie. 1925 St Luke's Church Kew London England Altar table and altar cross etc. c. 1925 Double villa, Gordon Road Edinburgh Scotland Mainly Matthew? Beauty's Awakening Beauty's Awakening: The Centenary Exhibition of the Art Workers' Guild Brighton Museum September -November 1984, Royal Pavilion Brighton States that he joined the Art Workers Guild in 1922 but this may be an error. Carruthers, Annette 2013 The Arts and Crafts Movement in Scotland: a history Chapter 7, pp175-199 et seq.